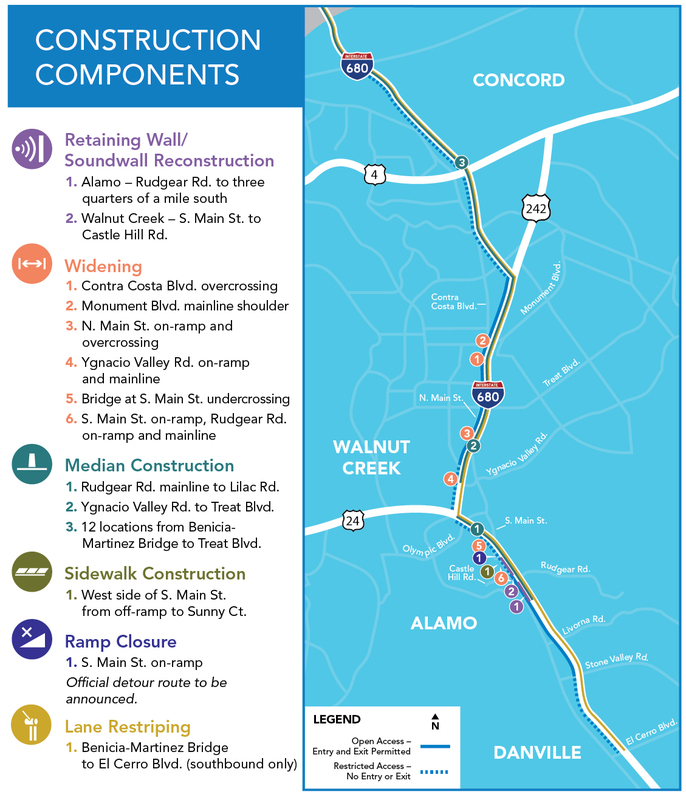 In October 2018, CCTA began construction of 11 miles of express lane on southbound I-680 between Marina Vista Avenue in Martinez to Rudgear Road in Walnut Creek. 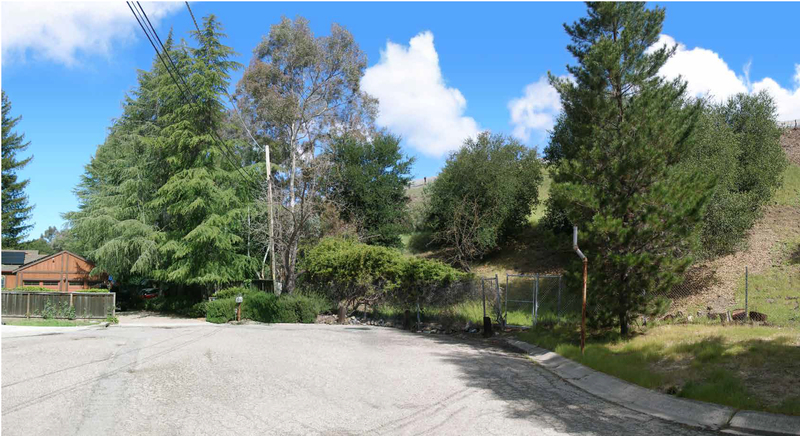 In addition, restriping will extend to El Cerro Boulevard in Danville. Eight miles of an existing HOV/Carpool lane will be converted to an express lane and the remaining three miles will be constructed as a new HOV/Carpool lane that will open as an express lane. 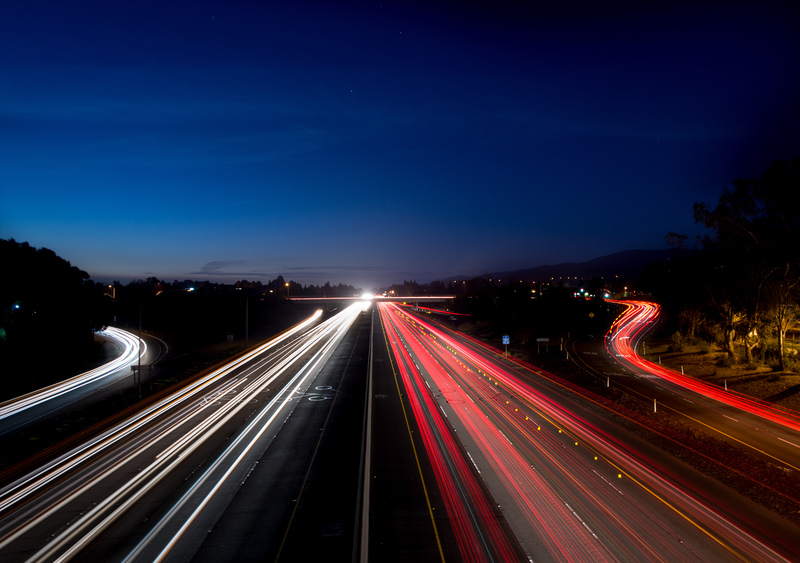 Once construction is complete, there will be 24 miles of continuous southbound express lane between the Benicia Bridge Toll Plaza and the Alameda County line. The majority of work activities will occur on the freeway within existing state right-of-way to construct the express lane. Work will occur simultaneously in multiple areas within the corridor. To minimize impacts to the traveling public, construction activities will occur during the daytime, nighttime as well as the weekend. 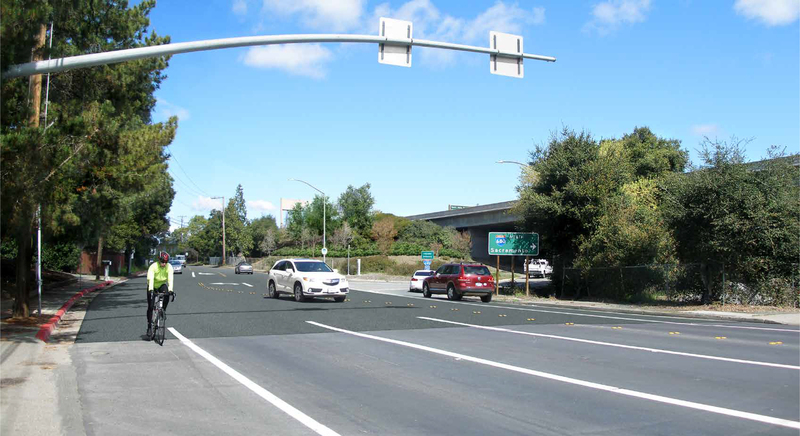 To allow adequate space for widening work south of Rudgear Rd., the start of the existing express lane will temporarily shift approximately three quarters of a mile to south. Motorists may experience traffic delays due to temporary lane closures and reduced lane widths and speeds through the construction zone. 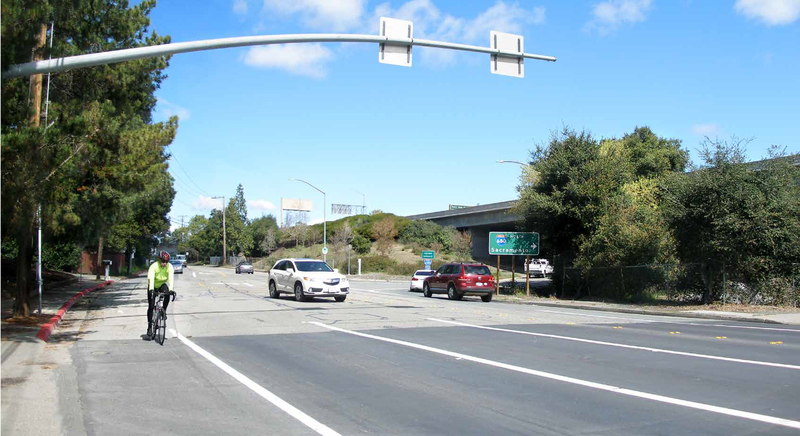 Complete construction of new fiber conduit on I-680 from Livorna Road to South Main Street. Complete construction of new PG&E service extensions in various locations on I-680 from SR 242 to the Benicia-Martinez bridge. Complete construction of new drainage facilities on South Main Street at the SB I-680 ramps. 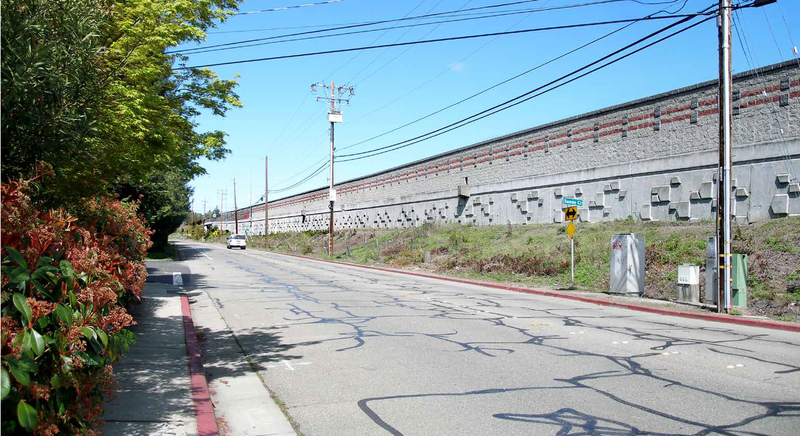 Complete construction of new concrete barrier on I-680 from Livorna Road to South Main Street. Complete construction of new concrete barrier on I-680 from SR 242 to the Benicia-Martinez bridge. 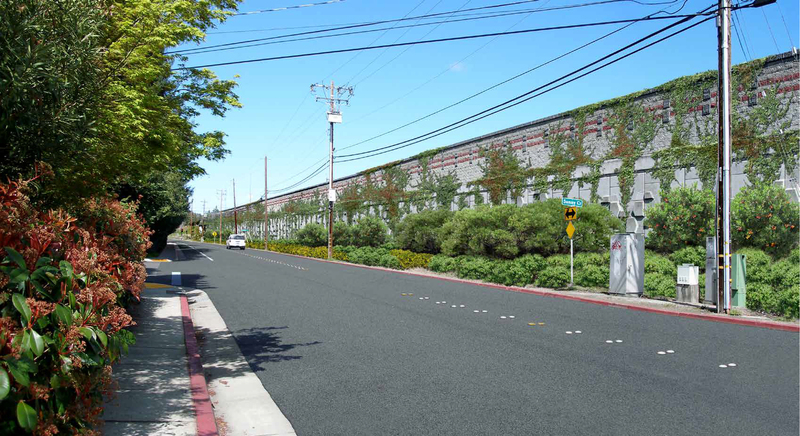 Begin relocation of the BAIFA fiber optic backhaul on I-680 from Livorna Road to South Main Street. Begin construction of new curb, gutter, sidewalk and ADA curb ramps on South Main Street between Sunny Court and the SB I-680 ramps.